An excellent and very good looking, sporty hatch and a vast improvement on my earlier 1990-model Mazda 1.8 Astina SP. Excellent ride and good performance on the highway, but a slight lag in initial acceleration compared to turbo-equipped competitors. The finish and fitment are excellent, with good reliability and excellent support from the local dealer. Negatives include higher than indicated fuel consumption despite being a manual (8L/100km), and less than generous room in the back seat and the boot. 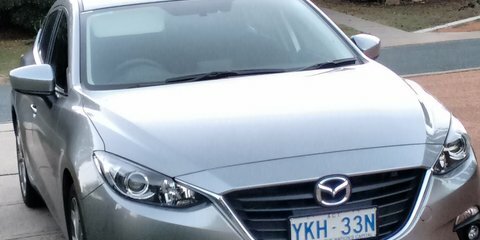 The tech used in the car is state-of-the-art, missing only Apple CarPlay/Android Auto with Mazda using its own proprietary system. An annoying design defect is that the volume controls for the navigator and the traffic alerts were hard to operate and resulted in inconsistent volume levels – something that Mazda should look at and rectify. The car came with excellent Bridgestone Potenzas that have good grip, even in the wet. The 2.5-litre engine does lack some low-end torque, but is a far more driveable product compared to the regular Mazda 2.0-litre. The six-speed manual is silken in operation and infinitely more attractive than an auto transmission to an enthusiastic driver. My choice of a manual resulted in savings of $2000, and I also chose to forego extras such as lane- and collision-warning systems, which I felt were unnecessary add-ons for an experienced driver. Despite this, the car was loaded with extras such as rear collision-warning sensors, rear parking camera, keyless ignition, auto headlamp operation and auto door locks. One disadvantage with such new car locks is that replacement of lost keys costs a pretty packet of approximately $80! That should make one more careful. Mazda does give you a spare set, however. In conclusion, the SP25 satisfies almost all my requirements for a sporty, good-looking five-door hatch, which an enthusiast can enjoy driving daily to work in the city or on the highway. I do not have a family and space was not critical compared to performance and relative economy. I note that current versions of the car have eliminated the useful CD-player, but it would be good if the excellent electronics in the car incorporated Android Auto and DAB radio. I would also suggest that Mazda look at extending the service intervals in line with the competition. 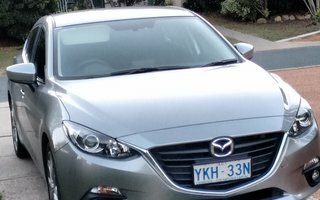 In all other aspects, the Mazda is a superb little hatchback, which is why I suppose it is one of Australia’s most popular cars. In retrospect, other cars I might have considered, if available then, are the Hyundai 130R, the Honda Civic hatch with the 1.5-litre turbo engine and the Golf 1.4 Trendline. The first two were not available in 2014, and the Golf was, in my opinion, too expensive to maintain. The soon to be launched Corolla would be a prospect too.